Prior to blended learning, Cisco had a strong culture of trust that supported teachers to take initiative, try new ideas, and persevere through challenges. 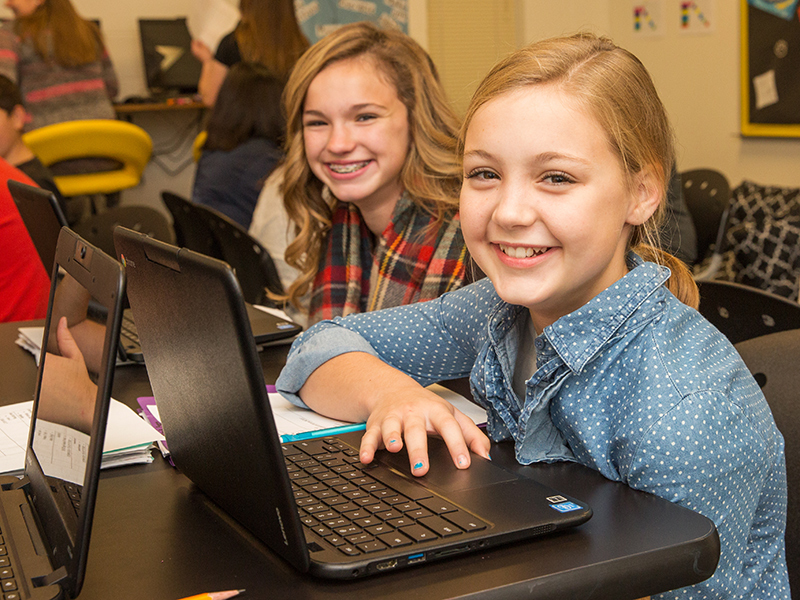 Leveraging its strong, collaborative, and trusting teacher-facing culture, Cisco allowed teachers considerable autonomies in designing their newly blended classrooms. Teachers can make decisions on classroom layout, software content, and which blended practices to implement. In practice, this means that each teacher can experiment with their classroom models and choose blended practices based on the needs of their students. This approach empowers Cisco teachers to iterate and discard less useful elements as they try new practices. As an early indicator of success, school and district leaders are reporting increased levels of teacher energy and fulfillment. At the same time, Cisco’s highly decentralized approach creates challenges for building a collective student experience and cohesive new blended culture. To bring continuity within their highly decentralized implementation approach, the Cisco team relies on four student experience design pillars: data driven instruction, student agency/engagement, personalized experiences, and rigor/competency progression. These pillars serve as the foundational framework and common taxonomy for binding pilot teachers together around a common vision, language, and community of practice. Cisco has also developed additional pillar-based templates and tools (including blended strategies playlists and a classroom walkthrough tool) to support professional development, conduct classroom walkthroughs, host visitors who come to see Cisco’s work, and onboard new pilot teachers.